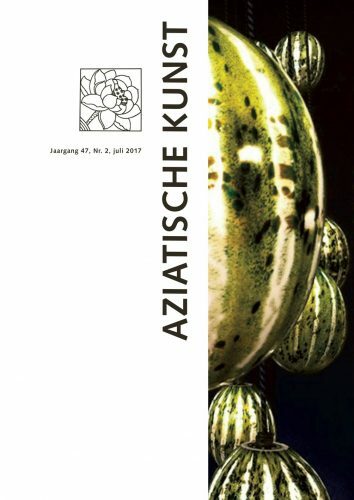 The new edition of Aziatische Kunst will arrive at the end of July. At the Student Symposium of 26 November 2016, young students presented their research in various fields of Asian art. Five of these talks will be presented in this edition of the magazine. The subjects cover a wide range and comprise the dancer’s motive, the influence of Chinese art on islamic Persian court painters, the contemporary artists collective Slavs and Tatars, the making of kanhta, and the immense collection of Chinese paintings and calligraphies in 15th-century Korea. Furthermore, you will find an interesting article about the restoration of two Chinese dragons that are in the depot of the Rijksmuseum. Please also be informed that editor Ellen Uitzinger, who from March 1996 was a member of the magazine, will resign. She will be hugely missed and we would like to thank Ellen for her 21 years of loyal support.